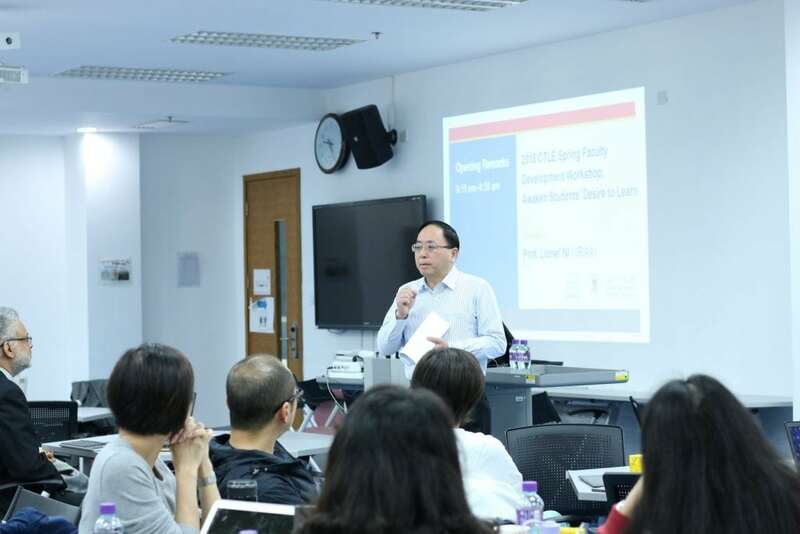 On 24th of January 2018, over 50 academic staff participated in 2018 CTLE Spring Faculty Development Workshop. Such event is held every semester and aims to build community among UM academic staff and help them enhance teaching and learning at UM by providing insights on good teaching and learning, as well as pedagogical models. In his opening remarks, Prof. Lionel Ni (VRAA) reminded participants the importance of teaching. He also encouraged academic staff to use technology to enhance their teaching. 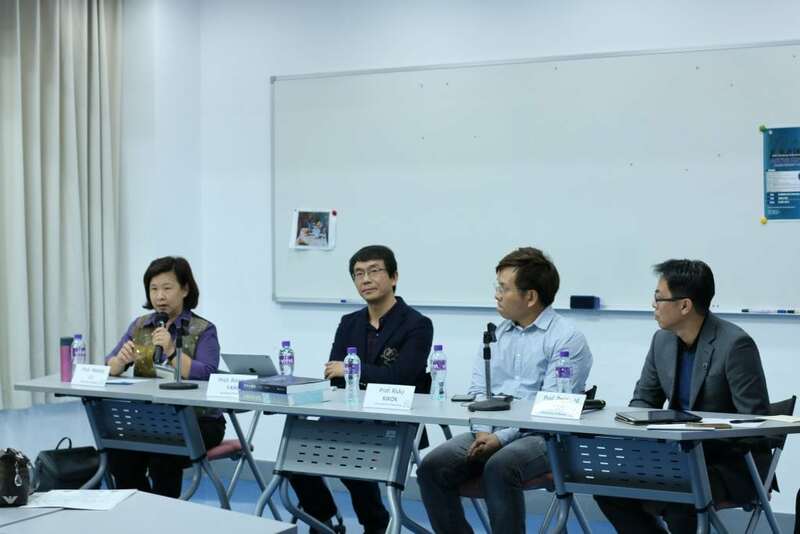 A panel of four educators – Prof. Ricky Kwok, Prof. Robert Yang from Nanjing U (Biochemistry), Prof. Melody Lu (FSS) and Prof. Desmond Lam (FBA) – shared their thoughts on and experience in keeping and enhancing students’ interest to learn actively in their respective classrooms. 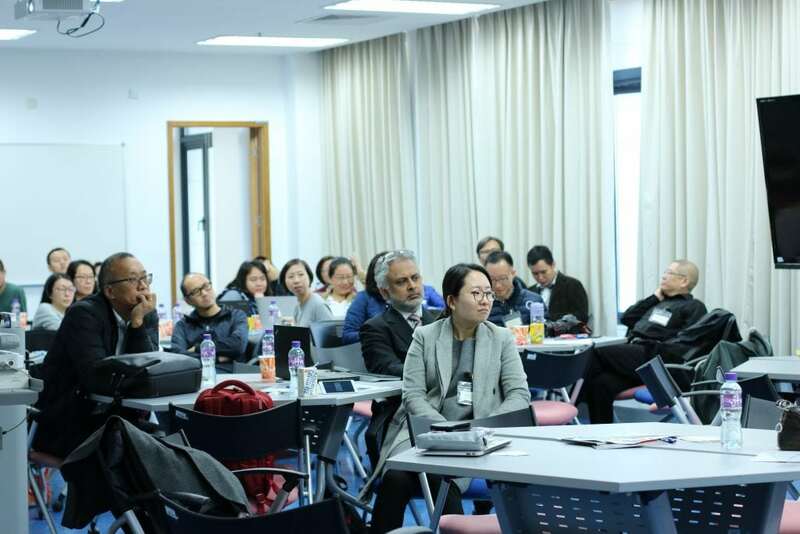 In particular, Prof. Yang shared with the audience how his students in Biochemistry demonstrated what they had learnt through song adaptation (fusing biochemical principles and formulae with tunes of pop songs). In the third session, three presenters shared examples of active learning activities that made use of students’ mobile phones. 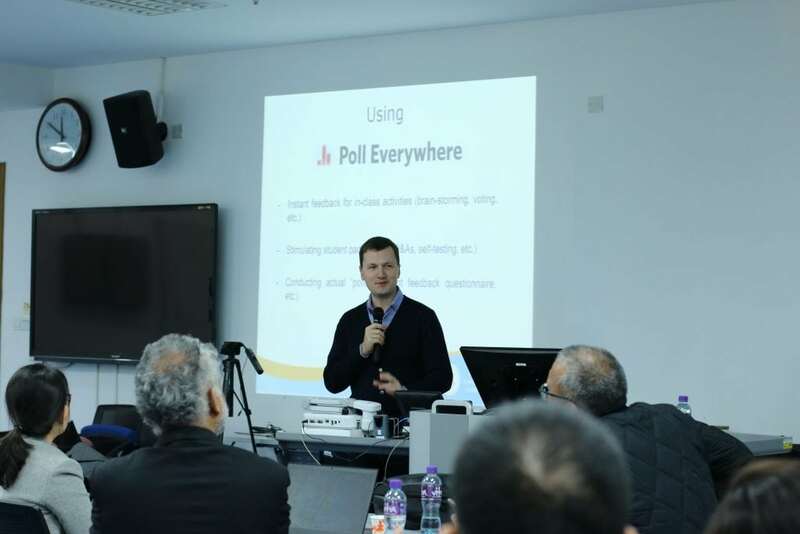 Presentations by Prof. Alexandr Svetlicinii (FLL) and Prof. Ruiyu Xie (FHS) provided detailed examples of how quiz questions and short-answer questions can actively involve students in a classroom. Quiz questions presented in-class with Poll Everywhere can be used in a variety of ways, for instance, a) to give students immediate feedback on gaps in their understanding, b) to stimulate discussion on concepts covered in class, and c) to improve participation and communication between all students and their teacher. 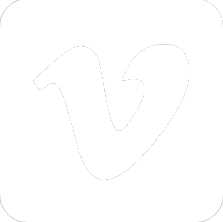 In the third short presentation, Dr. Chris Fulton (CTLE) shared his experience conducting in-class activities with multiple-choice and short answer questions and forums in UMMoodle. He also referred to recent research on benefits of active learning activities, including reduction in student failure.